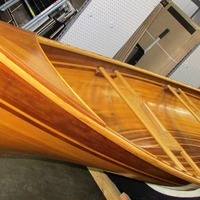 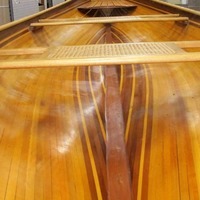 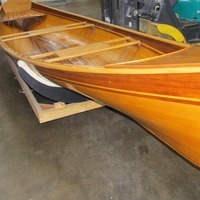 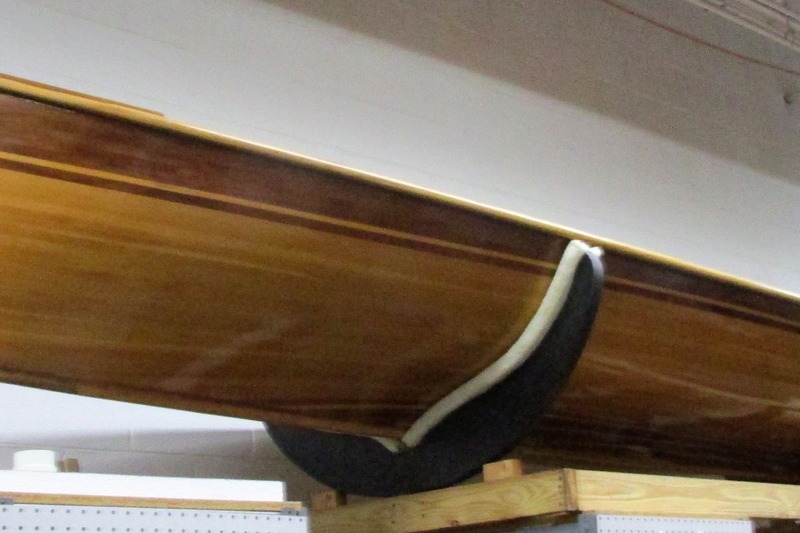 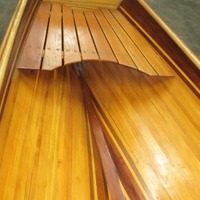 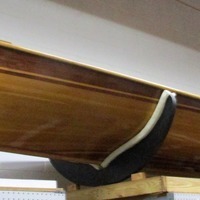 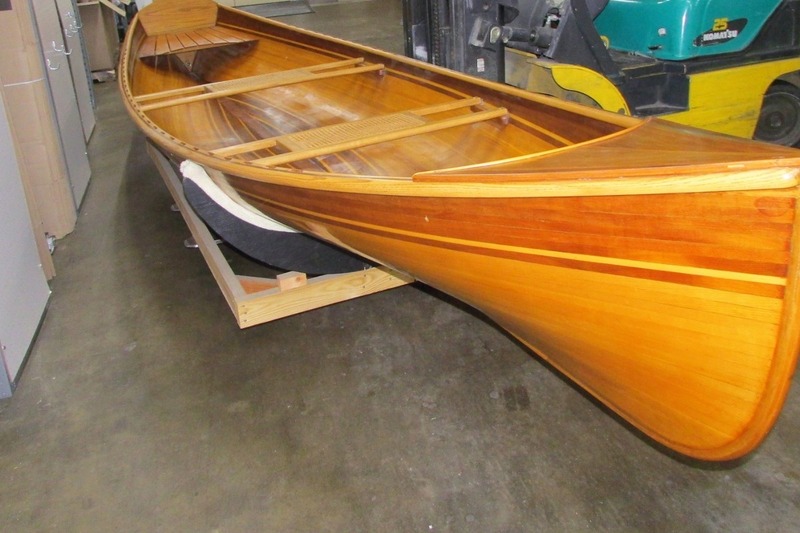 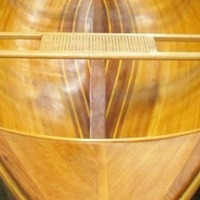 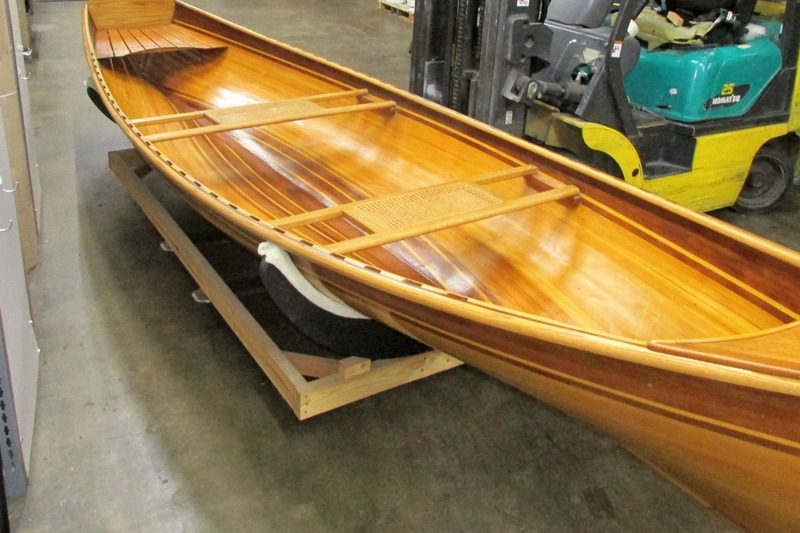 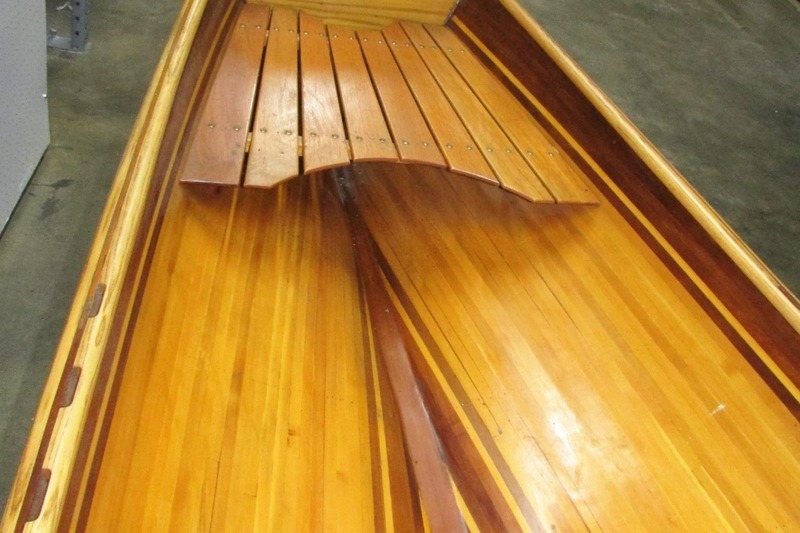 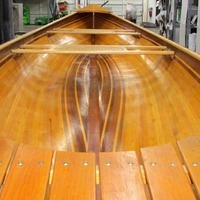 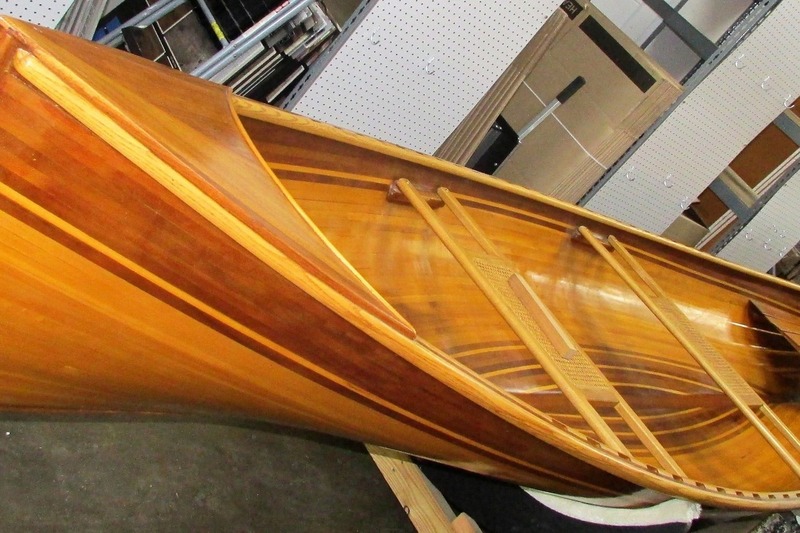 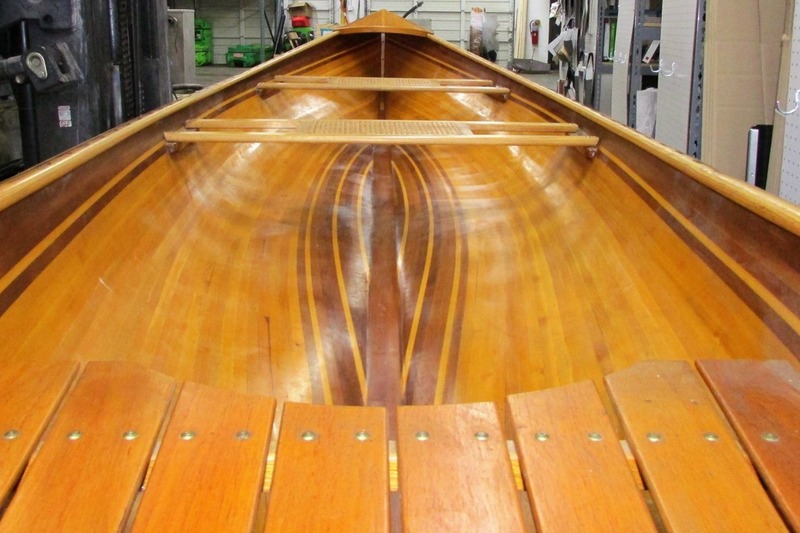 Adirondack Guide Boat. 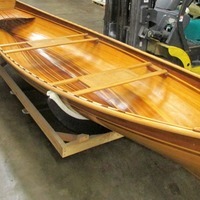 Was the hit of an Atlanta Art Show and then stored in warehouse. 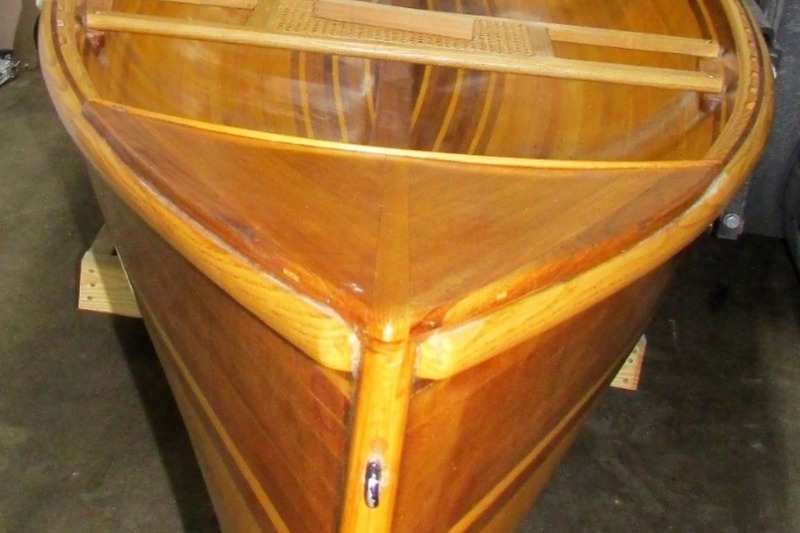 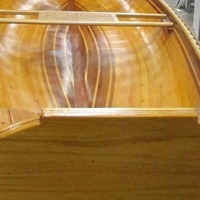 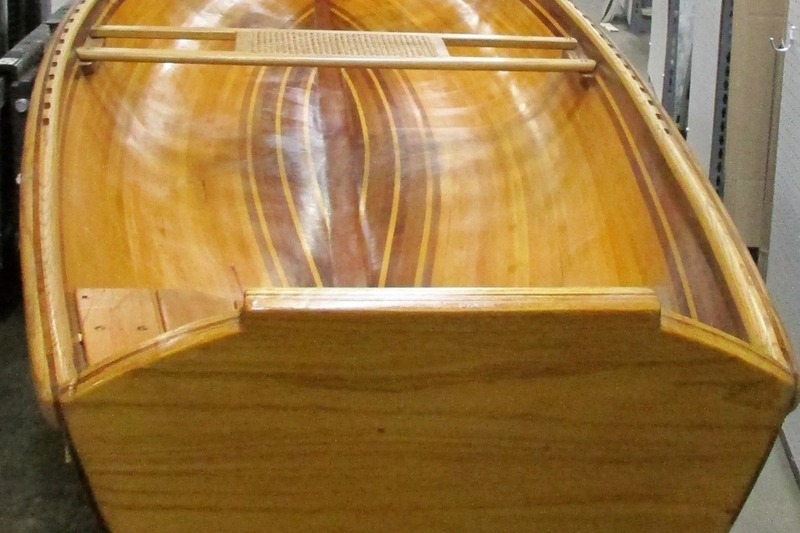 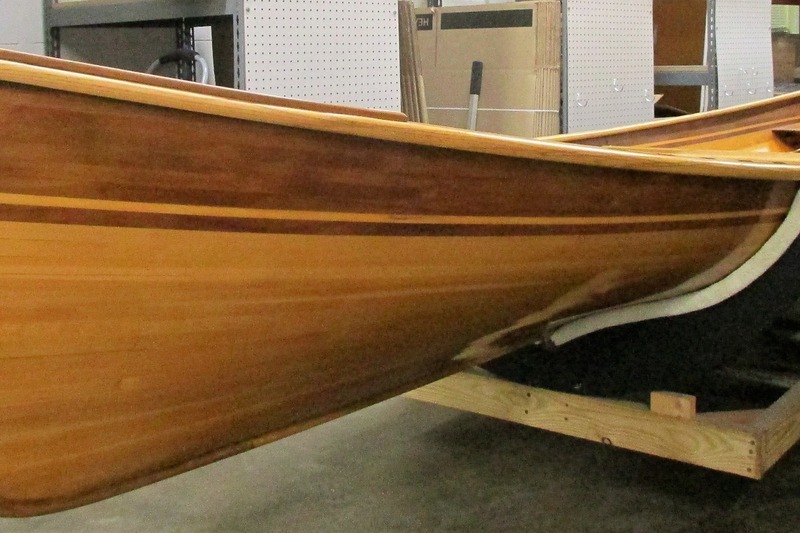 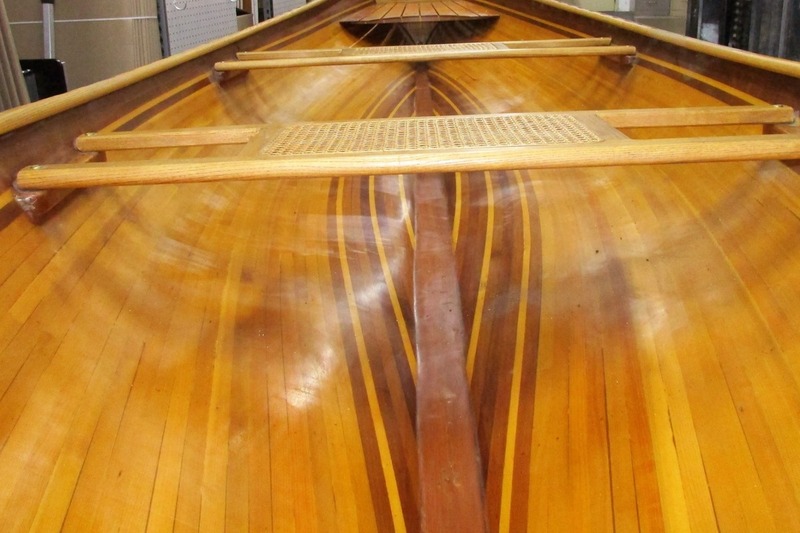 Hull and Bottom Alaskan Yellow Cedar, Western Red Cedar. 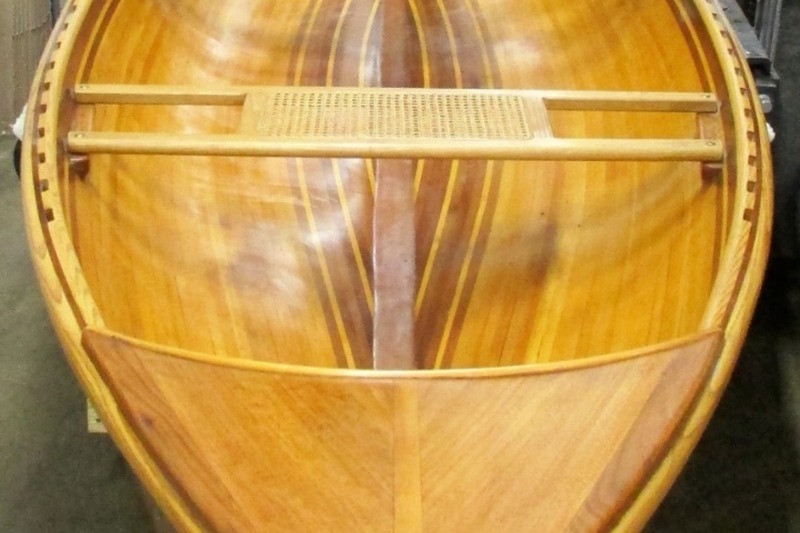 No inner ribs, Sleek, Fast and Stable. 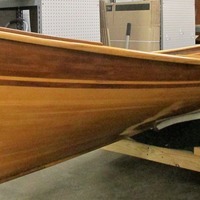 Modified to have a motor transom. 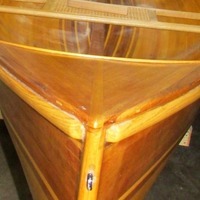 Seats Solid cherry and rattan.